If there be twenty-six Sundays after Trinity, the Collect, Epistle, and Gospel appointed for the Sixth Sunday after Epiphany shall be used on the twenty-fifth Sunday. If there be twenty-seven Sundays, the Collect, Epistle, and Gospel appointed for the Fifth Sunday after Epiphany shall be used on the twenty-fifth Sunday; and the Collect, Epistle, and Gospel appointed for the Sixth Sunday after Epiphany shall be used on the twenty-sixth Sunday. And if there be fewer than twenty-five Sundays, the overplus shall be omitted: Provided that this last Collect Epistle, and Gospel shall always be used upon the Sunday next before Advent. In St. Jerome's Lectionary twenty-five Sundays after Pentecost are provided with Epistles and Gospels. In the Sacramentary of St. Gregory there are Collects for twenty-seven Sundays. In the Salisbury Missal twenty-four Sundays were reckoned as after Trinity, and one as the next before Advent: and there was a Rubric directing that if there were more than twenty-five Sundays between Trinity Sunday and Advent Sunday, the Office for the Twenty-fourth Sunday was to be repeated on each Sunday until the last, when that for the Sunday before Advent was to be said. In the Prayer Book of 1549 no Rubric of this kind was provided, but the old usage would, doubtless, be adopted. In 1552, however, a Rubric was inserted to this effect: "If there be any more Sundays before Advent Sunday, to supply the same shall be taken the Service of some of those Sundays that were omitted between the Epiphany and Septuagesima." This Rubric was altered into its present form (see above) in the Durham book of Bishop Cosin, having already appeared in a similar but more cumbrous form in 1637. If there be an additional Sunday preceding the Sunday before Advent, the Service of the Sixth Sunday after the Epiphany shall be used; if there be two additional Sundays, the Services of the Fifth and Sixth. 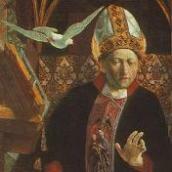 Some lectionaries in non-Anglican circles may have particular lections for the Twenty-Fifth and Twenty-Sixth Sundays presumably because they are based upon the Sacramentary of St. Gregory.